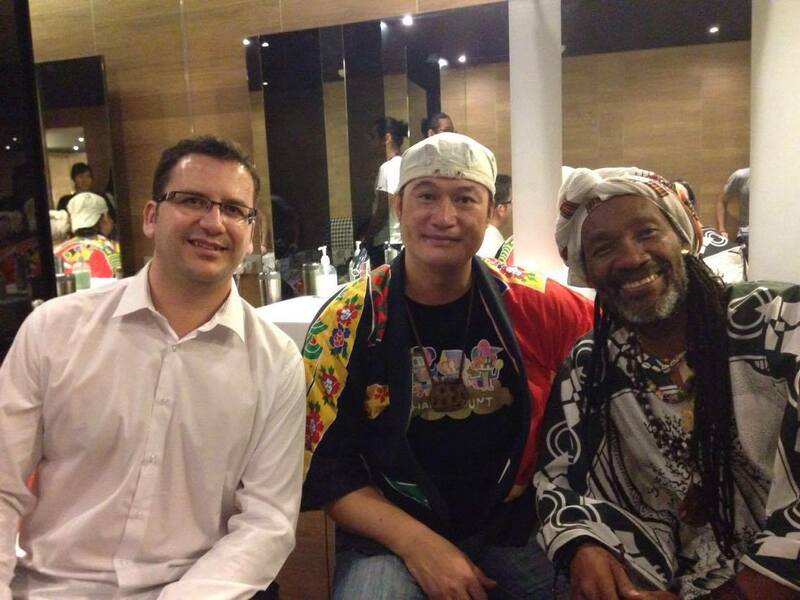 Chalaw Basiwali – Spreading His Passion For Taiwanese Aboriginal Culture With The World – Hello Asia! When Chalaw Basiwali talks about anything to do with Taiwanese Aboriginal culture, his eyes light up. Within the space of our short, ten minute conversation, the quiet, unassuming musician who is a strong advocate for preserving Taiwanese Aboriginal culture was able to paint me a picture of a Taiwan that I had never personally perceived before. Coming from the Amis Aboriginal tribe, Chalaw explained to me how the language of his tribe would soon die out, and how he hoped to use music to pass his knowledge and mother tongue on to future generations. Coming originally from a fishing tribe, Chalaw has always had a great connection with nature, an influence that comes through strongly in his music, which is often filled with themes revolving nature and the Earth. When asked what he thought about the many negative effects we’ve been seeing in recent years, his answer gave me a poignant insight into Taiwanese Aboriginal culture’s deep and intimate connection with nature. For Chalaw, music is the way that he chooses to express his many ideas about society, and is his instrument of choice to enact social change, no matter how small or big. These themes and his musical influences came to him quite naturally, organically coming together to create his own unique musical style and ideas. A serene and gentle-mannered guy, Chalaw was flanked during the interview by his band, which included Madagascan musician Kilema. The latter, who is an artist back in his home country will be working closely with Chalaw on his upcoming album, which mainly explores the interactions between Taiwanese and Madagascan musical influences. 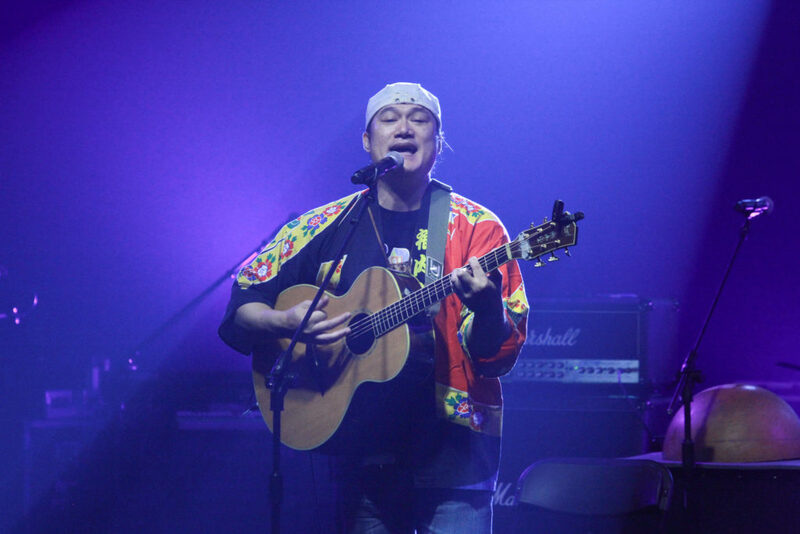 Chalaw, unlike many other Taiwanese artists thinks broadly about his position in the musical industry by exploiting his personal interests in collaborating with people from different parts of the world. But as always, his heart has never left the Aboriginal people. When asked about who he would be rooting for at the 27th Golden Melody Awards, he tipped off Matzka as his pick for Best Male Mandarin Artist without hesitation. While I harbour a passion for sharing Chinese music with the world, speaking with Chalaw certainly opened my eyes to the pressing urgency of raising awareness for Taiwanese Aboriginal culture before it disappears completely. All the Taiwanese Aboriginal artists whom I spoke with during the festivities including Jia JIa and Boxing also expressed similar sentiments to Chalaw, further reinforcing the need for preservation and restoration of Aboriginal culture through music or other mediums. It’s very simple if you, too would like to be a part of this movement for cultural preservation. All you’ve got to do is listen; to Chalaw’s music, to Jia Jia’s music, to Boxing’s music with an open heart and an open mind; and awareness will follow soon after.